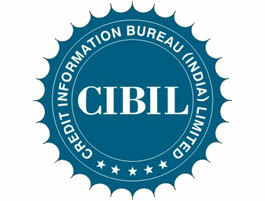 The credit score of an individual is a score given by a credit rating agency such as Credit Information Bureau (India) Ltd (CIBIL) that indicates the creditworthiness of that person. Comfort for the lenders: The higher the credit score of the individual, higher the comfort level for the lender as the high score suggest that the individual is not a defaulter on other borrowings. The chances of getting a loan on better terms improves with a high credit score. Of course, notwithstanding high credit score, the lender will still exercise due diligence and check the borrower’s profile (level of income and savings, number of years in service, number of dependents, educational qualification, etc.) before deciding on the loan. Better terms: A person can improve his credit score by regular and timely repayment of loans, which enhances the credit worthiness of the individual. This can help secure better terms for fresh borrowings. Employment opportunities: Many companies nowadays, especially finance companies, have started checking the credit scores to ascertain the character of prospective employees. Hence, if a person has low credit score, the company will assume that the person may have defaulted in loan repayments and, therefore, cannot be entrusted with financial matters. Impact on family: Since the lenders report all information relating to the borrower and his family to the credit rating agency, the credit worthiness of the family members of the borrower might get impacted. So, if the credit score of the borrower is high, the family members stand a better chance of getting a loan on better terms, and vice versa. Of course, the lender will also do the requisite financial profiling of the family member before sanctioning or rejecting the loan.